Share your family verse with us for a chance to win. What's a great way to lead your family? Many families enjoy choosing a "Family Bible Verse" that defines everything they value most. Never had a family verse before? A theme verse is like an anchor for your family: you can choose it together, memorize it together, lean on it together, and rally together around it. Share your family verse with us, and your family could win a prize pack picnic basket. Just use the Bible App to make a Verse Image for your family verse (here's how), then share it on Twitter, Instagram, or at Facebook.com/YouVersion, using #OurFamilyVerse. …choose for yourselves this day whom you will serve… as for me and my house, we will serve the Lord. *Prize packs will be selected at random from eligible entries. 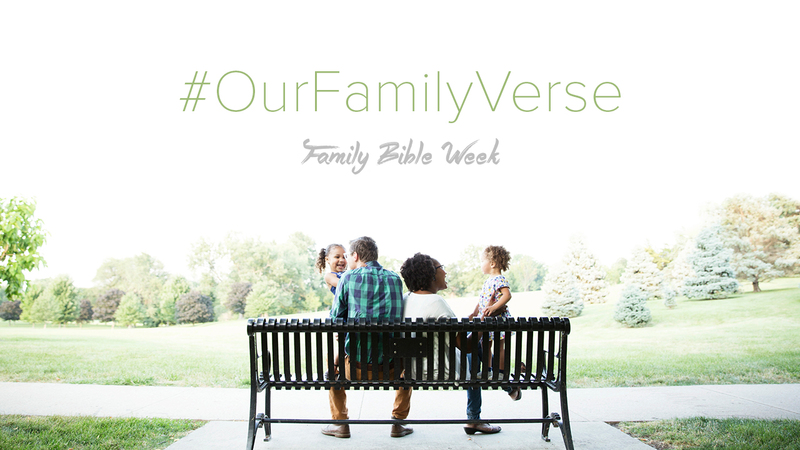 For your entry to be eligible, you must use the hashtag #OurFamilyVerse on a publicly facing Twitter or Instagram post, or at Facebook.com/YouVersion. Prize pack contents subject to change based on availability of individual items. Sorry, we can only ship prize packs within the continental U.S.